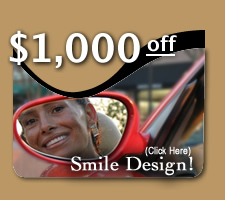 It is important to us that you are happy with your smile. 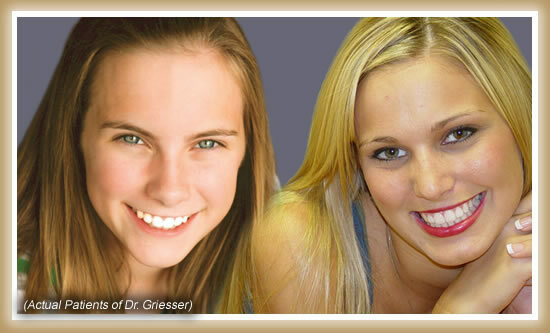 Dr. Griesser has found that most of her patients desire whiter teeth and may have tried the grocery store teeth whitening products -- often times only to be disappointed with the outcome. While many of these systems are harmless, they will not whiten as well as the professional teeth whitening versions available through Dr. Griesser's Sugar Land office. We have several professional systems designed to fit both your schedule and your budget. 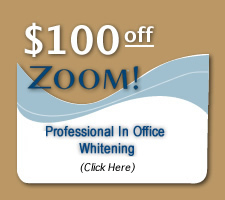 Popular Teeth Whitening Available at the Sugar Land and Houston area office - ZOOM! (whiter teeth in one hour) The most popular is ZOOM, as seen on ABC's Extreme Makeover. This revolutionary whitening system uses a safe, effective and gentle light-activated gel to whiten 6 to 10 shades in just over an hour. It’s a bleaching process that lights discolorations of enamel and dentin. The system uses a mild solution retained in a custom-fitted tray that is worn over your teeth. The vast majority of people will benefit from tooth whitening. However, there are some cases where the treatment may not be effective. A dentist may determine viable candidates for the respond to treatment. The degree of whiteness will vary from patient to patient, depending on the structure of the teeth, the number of applications, and/or the duration of time that the system is used. Yes! Research and clinical studies indicate that whitening teeth with Carbamide Peroxide or Hydrogen Peroxide under the supervision of a dentist is safe for teeth and gums. In fact, many dentist consider this whitening process the safest cosmetic dental procedure available today. The whitening gel is placed in a thin bleaching tray that fits over your teeth. As the active ingredient in the gel is broken down, oxygen enters the enamel and dentin and bleaches the colored substances. The structure of the tooth is not changed; only the tooth color is made lighter. Maximum results generally occur when the process is continued for 10-14 days/nights. For quicker results, try Nite White Turbo, which whitens an average of 6 shades in only 3 nights. The teeth will always be lighter than they once where; however, some patients may need a tooth whitening “touch-up” for 1-2 days, once or twice a year. In order to maintain the whitest tooth shade possible, it is best to avoid substances like coffee, tea, red wine and tobacco.